It is an old papercraft design but it presents something of the future. Robotic pets; how good does that sound. 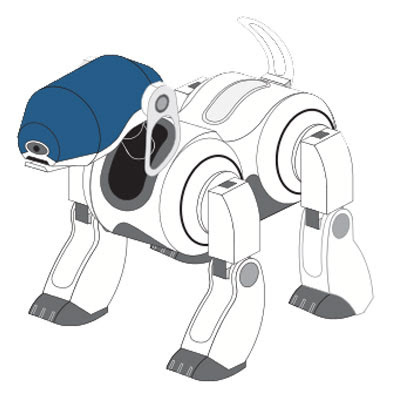 This robotic dog - AiBO was first introduced in 1999 by SONY but then discontinued after 2006. You can read the detail about it at wikipedia on aibo. Thinking about pet, something robotic would be awesome because it can be programmed to suit what we need. Another good thing about it is that it will give some poor people who have allergic to pets an adorable replacement. Well, to successfully create a perfect robot will take time but I will definitely look forward into it. Until then, lets be satisfied with this paper version of pet dog first.